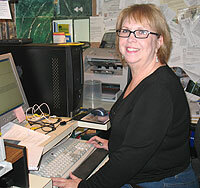 Anne is a weekly contributor to The Meridian Star. THE WHOLE SCHOOLS INITIATIVE, Mississippi’s first comprehensive statewide arts education program, uses the arts as a vehicle for promoting high-quality instruction and learning for students in all disciplines. This unique program goes far beyond “art for art’s sake” and applies the learning power of the arts across the entire curriculum. The Rose Hill Company - A group of storytellers, actors, and volunteers on Facebook!